Gloria Katz and Willard Huyck are two renowned filmmakers--with such writing credits as Indiana Jones and the Temple of Doom and the original Star Wars and Mission Impossible--who began collecting Japanese photography more than a decade ago, and whose ongoing hunt seems indeed like a Hollywood movie. 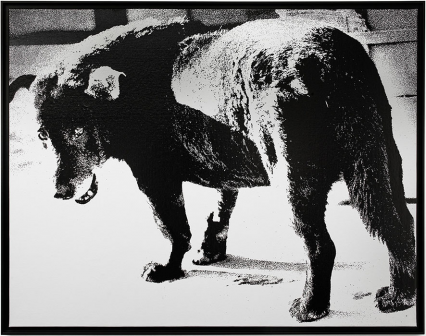 Since 2002, the Huycks have assembled an encyclopedic collection of images from the 19th century to the present, acquiring works by Nobuyoshi Araki, Hiroshi Hamaya, Eikoh Hosoe, Miyako Ishiuchi, Kikuji Kawada, Daido Moriyama, Ikko Narahara, Issei Suda, Shomei Tomatsu and Shoji Ueda. We spoke on February 1, 2018 at the Huycks' home in Brentwood. Paula: Why do you collect photography? Gloria: An important part of our lives has been the idea of living with art. We've always collected art. Even when we could only spend $25 we collected art at flea markets. Our first serious collection was Indian miniature paintings. That was decades ago when we didn't have the Internet to view material or compare prices. But we managed to learn enough to put together a really good collection. Willard: Of course, there’s a psychological side to being collectors. I started collecting stamps and minerals. Some people have no interest at all in collecting. That does save money. But we both happen to be collectors. When we were collecting the Indian miniature paintings, we were also collecting Indian photography, which in the 19th century was primarily Europeans shooting photographs in what was thought of as “exotic” India. We learned about collecting photography as a sideline of collecting the paintings. When we sold the Indian miniature paintings at auction we donated our Indian photography collection to LACMA because they have a great collection of Indian art and sculptures. The photographs fit in well there. 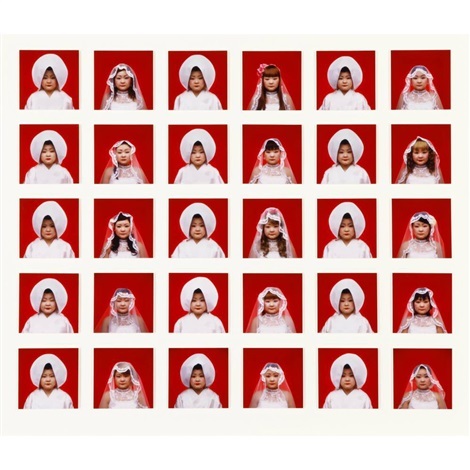 At that point, we thought, "Well, we could continue collecting Indian photography," but this was 14 years ago and contemporary Indian photography in those days wasn't that interesting. We had always loved Japanese movies and studied them in film school and went to Japanese movies on dates. Gloria had also started a collection of Japanese photographic postcards in the early days Ebay, and she was getting them from all over the world. We thought, "Well, why not get the original photographs that these post cards were made from. That was the beginning. Gloria: Then we went to the Houston Museum of Art to see an exhibition that Anne Tucker curated that was a whole history of Japanese photography. That was as we used to say “mind blowing." There was so much material we had never seen before. And it was a fantastically interesting collecting area that was under the radar. In fact, this really brilliant show did not travel because there wasn’t a widespread interest Japanese photography. Then we found a little gallery right here in L.A. called the White Room Gallery, which went out of business years ago. But the dealer there specialized in Japanese photography and she introduced us to the images of artists like Daido Moriyama and Nagano -- really famous photographers that at that time you could buy for very little money. We then heard from fellow PAC member Maureen O’Sullivan that we should go to Paris Photo. That there were always Japanese dealers there. Paris Photo was a real life changer. Slowly we began to put together a collection. There were a lot of things we didn't know. But we had, I think, very good eyes, from working in movies and from collecting Indian miniatures. Slowly, we learned about the importance of condition of photographs. And the importance and higher coast of vintage images. And because our Indian painting collection was so focused we wanted to focus our photography collection so that it took on an even greater significance than the individual photographs. It was a collection that said something. Willard: A lot of collectors say, "I buy what I like,” which is fine. But there's such a tsunami of photography hitting us all that if we just bought what we liked we wouldn’t know where to start or stop – and be out of money and wall space very quickly. And going back to why people collect, we saw firsthand how collecting the Indian paintings changed our lives as far as travel and learning about the history and religion of India. We traveled to India, met Maharajahs and saw their collections. And then Japan became another new world. We traveled to Japan and again learned their lives, art and history. We’ve met all the great living Japanese photographers – and they’ve visited us when they come to Los Angeles. Gloria: But after 14 years we’ve reached the same point we reached with our Indian collection. When we started both collections the prices of the paintings and the photographs were reasonable. But as the prices went up over the years we reached a point where we couldn’t afford some of the photographs in our own collection. That meant to get a classic maybe we could only buy a couple of pictures a year, which is nowhere near enough if you’re addicted to collecting. So, with the Indian paintings the sale at Sotheby’s was a huge success. Prices going up is bad for buying but great for selling. And recently we decided to something similar. Willard: Yes, we are announcing that as of last month, our Japanese photography collection has been acquired by the Freer|Sackler museum at the Smithsonian. It was a perfect fit. And it happened in a two week period, which is unheard of in the museum world. Julian Raby, the Director of the museum, saw the correspondence between their collection and how they could use our photographs. The curators there were incredibly enthusiastic and told us they wanted to use the photographs along with Japanese drawings , and in landscape and portrait painting exhibitions, and even along with ceramics. And they promised us our own show this October. Gloria: We're going to continue collecting Japanese photography but I think we're going to put an emphasis on contemporary and up and coming Japanese photographers, which is always interesting and challenging. We hope that we know enough and have seen enough by now to be able to pick work by photographers who will have a serious career. It has already been exciting in the past to meet a lot of great younger Japanese photographers. Willard: Another thing that has really helped us as collectors is establishing a relationship with museums. With the Indian paintings and Indian photographs we got to know the photography department at LACMA. And being on the Getty Photographs Council we’ve learned quite a lot about photography from all over the world. And about conservation and condition both of which are so important for collectors. Gloria: Also, we met Manfred Heiting who was also on the Photographs Council. Manfred’s incredible photography collection went to the Houston museum, and he now has the greatest private collection of photobooks in the world. And one day Manfred said to us, “Why don’t we collaborate on a book about your collection? I’ll design and you both will write about your adventures collection, and I’ll get Steidl to print. And he did! Writing the book meant we really had to think, "Why did we choose that? What kind of story are we trying to tell with our collection. The book also meant we could relive the fun of putting the collection together. Paula: This is a question that I wanted to ask you and what I'm hearing you say is that maybe you discovered this in hindsight. Is there a particular story that you think the collection tells and was that intentional? Willard: I think the collection really tells the whole story of Japan from the arrival of the first camera in Japan from Europe. It’s the story of a country that fell in love with photography – both the art and the camera technology. It’s the story of a country that went through a lot of major upheavals. From feudal society to world power. Being at war from the beginning of 20th century to the Second World War. They've had catastrophic fascist governments and catastrophic earthquakes. They've experienced atomic bombs and atomic radiation from earthquakes and tsunamis. You see in our collection images of a country that had to emerge from their own ashes and decide where did we go wrong, what was important and good in the past and where do we go now? You see photographers going back to the provinces to find their roots and original values – and other photographers pushing ahead into the present and deliberately shocking viewers to wake them up. Gloria: We’ve always wanted to think beyond a single image. To put together a narrative that has a social and artistic through line. When you do that, it deepens your understanding of what you're aiming at with a collection. We’re also at a point where museums aren’t putting photography into a ghetto. This is why we liked the direction the Freer|Sackler was taking. Showing photography with wood block prints, with wonderful artifacts from centuries ago. We visited a museum in Rotterdam recently where Renaissance paintings were in dialogue across a gallery with contemporary paintings on opposite walls. Willard: Museums do very well with photography shows because they're accessible. People understand photography. And museum photography shows are relatively inexpensive to put up and to get loans from other museums. The Getty has had some really great photography shows. Japan’s Modern Divide was the Hamaya and Yamamoto show. Then they had an exhibition of Japanese women photographers [Ichiuchi Miyako: Postwar Shadows and The Younger Generation: Contemporary Japanese photography] which is an interesting movement in Japanese photography because the women photographers are really coming to the forefront. Ishiuchi Miyako, was one of the few women even recognized in the 60s. Now there are all these younger women photographers following in her footsteps. And we met them when they came to L.A. for the Getty show. And they were all incredibly excited about our book which contained their work. Gloria: Regarding the book we thought the best way to outline the story of Japanese photography was chronologically. So that you see how Japanese photography followed the different movements in the art world. In other words, there was Pictorialist photography, which attempted to show that photography was as much an art as paintings were. Then photography went through its modernist and surrealist periods, like other art forms. That's a story in itself. Paula: What do you think when people ask if photography is a good investment? Gloria: I think “don’t count on it”. Values may go up or down. You should collect primarily because you find value in living with art. Willard: Of course, there are blue chip photographs. You can say that a Stieglitz or a Gursky brought in X millions at auction. So, maybe it can be an investment. But it can also be just trophy art hanging on your wall like a rare animal head that you bagged. That kind of collecting is a whole different world, and we haven’t gone there. Gloria: As far as current trends in collecting photography – there is an interesting push to try to get people to remember that photographs aren’t just images. You can see trillions of images everyday on your computer. But a photograph is an object. It’s been made by somebody and it exists as a beautiful object. Gloria: I don't think there's a big economic payoff in photography. You have to accept that you’re doing this because you want to live with art. If it works out financially that's fine but I'm doing it for the experience of it. People often ask, "Is this a good investment?" Not really. Willard: It's like everything else. There are blue chip photographs. You can say that Stieglitz has always brought in X amount of dollars and so I'm going to invest in it. Really, that's not a great way to be buying photography. It's just trophy art. Willard: And how it was printed and the paper it's on is important. It’s sort of like the slow food vs. fast food movement. Going back to the roots, so to speak, of photography. There’s new interest in old processes. Photographers are making daguerreotypes and tintypes and albumen prints. And we see great digital photography and wonderful pigment prints. Willard: I think some of the most important people in photography are the dealers. It's very difficult for a collector to go out and discover new photographers. It's really the dealers who are in the avant-garde of trying to find great new and old work. I've been amazed and inspired by dealers in Japanese photography. They travel all over Japan. They discover and rediscover great photographers. They track down their families and uncover forgotten work. They uncover Japanese photographers from the early 20th century and recently have been finding great photographs from 1950s that were overlooked. A collector depends on dealers and historians and academics who write books about photography. If you’re serious about an area of photography or a particular photographer, get the books about them. Gloria: Dennis Reed (a PAC president emeritus) said the collector's job is to find the photograph, preserve the photograph and be sure it lands eventually in a good place. Even though it may not be displayed all the time, photographs are preserved and live on in museums. Paula: Do you feel any sort of sadness about letting collections go, as you have at least twice now? Willard: There is a certain sadness to see old friends move away, but you also have great memories of the experience of having collected them. Gloria: We’re not the pharaohs. These photographs are not going to be buried with you. And you’d like as many other people as possible to see and enjoy them the way we have. 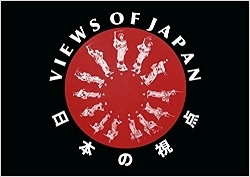 Views of Japan is available on amazon.com.